Established in the Year 1970 and incorporated under the Indian Companies Act, The Malt Company (India) Pvt. 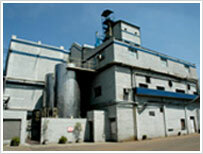 Limited, is one of the largest Malting companies in India. The company has a long experience of more then four decades in the field and commands a status amongst its buyers and suppliers. It is a well recognized brand name throughout the entire liquor, health foods, confectionery and pharmaceutical industry. MCI as a leading producer of premium quality Malt products has a long range commitment to quality, ensure that customers get superior Malt products-exactly the way they want it. Mr. Vikas Jain. It is a closely held family owned company by Jains, a business family from past seven generations. MCI is the first ISO 9000:2000 certified Malting Company in India.